What does the future hold for Valerie, Laura, and Alex? 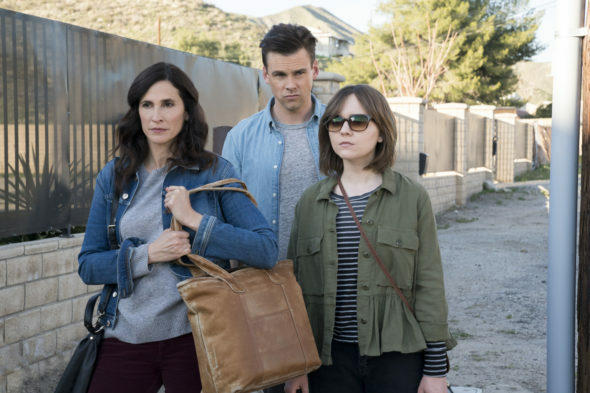 Has the Casual TV show been cancelled or renewed for a fifth season on Hulu? The television vulture is watching all the latest TV cancellation and renewal news, so this page is the place to track the status of Casual, season five. Bookmark it, or subscribe for the latest updates. Remember, the television vulture is watching your shows. Are you? A Hulu dramedy, Casual stars Tommy Dewey, Michaela Watkins, Tara Lynne Barr, and Nyasha Hatendi. The series centers on Alex (Dewey), a bachelor brother and his newly divorced sister, Valerie (Watkins), living under one roof again. Together, they coach each other through the crazy world of dating, while raising her teenage daughter, Laura (Barr). In October 2017, Casual was or renewed for a fourth and final season. Season four was released July 31, 2018. Could it return for season five someday? Stay tuned for further updates. Since the fourth season was announced as the final installment, when it was ordered, we don’t have to worry whether Hulu will cancel or renew Casual for season five. Although the show is ending, I’ll still keep an eye on the trades and update this page with breaking developments about any spin-offs or revivals. Subscribe for free Casual cancellation and renewal alerts. What do you think? Do you hope the Casual TV series will be renewed for a fifth season somehow? Do you think that this Hulu series should have ended?